What do our photographs say about us? 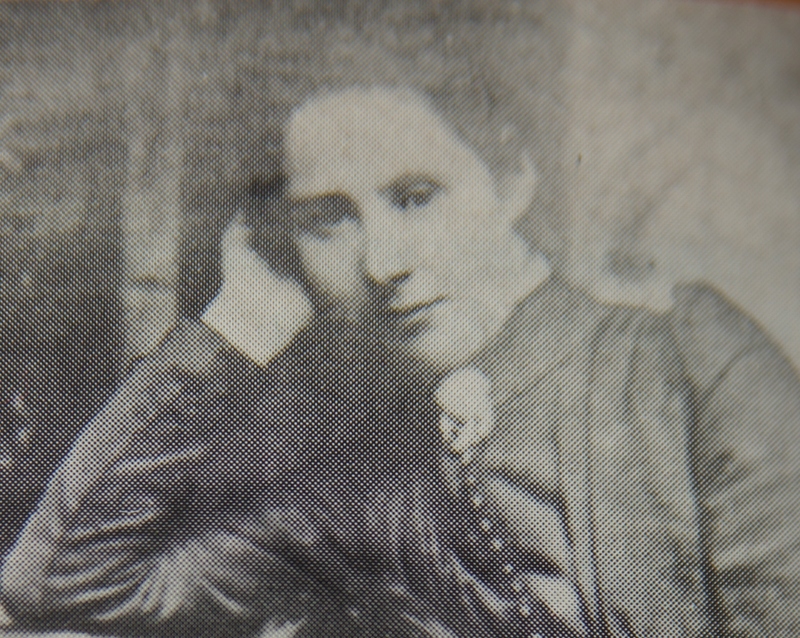 This is the only publicly available photograph of Bella Casey, the heroine of my novel, “The Rising of Bella Casey”. It is a close-up of a formal studio photograph taken in Dublin some time in the early 1890s. From this image, I had to start building the fictional character of Bella Casey. She seems an enigmatic presence in this photograph; dreamy, distant but with a certain degree of self-possession. For a novelist writing historical fiction based on real people, as I do, there are often gaps in characters’ histories that have to be filled. The absence of documentary evidence is a nightmare for the biographer but for the writer, it can be a blessing. It creates narrative openings in between the known facts. . .
Isabella Charlotte Casey was born in 1865, the eldest of the O’Casey clan, 15 years older than her famous playwright brother, Sean O’Casey. Bella was a bright, clever girl, completing her secondary school education – unusual at the time – and going on to train as a primary schoolteacher. She taught for several years – Sean completed his primary education under her tutelage – and helped to support the rest of her family. In 1889 she married Nicholas Beaver, a soldier in the First Battalion King’s Liverpool Regiment.